With the College Football regular season coming to and end, football fans around the country turn their attention to bowl season which kicks off in about two weeks. Here at TicketIQ we're doing the same. 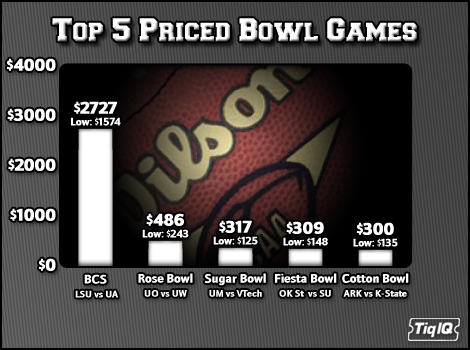 Below you will find a chart highlighting the top 5 priced bowl games. As expected, the BCS Title Game is far and away the most expensive game this bowl season. With an average price of $2727, tickets LSU-Bama in New Orleans are selling for 461% more than The Rose Bowl, the second most expensive game on the chart. 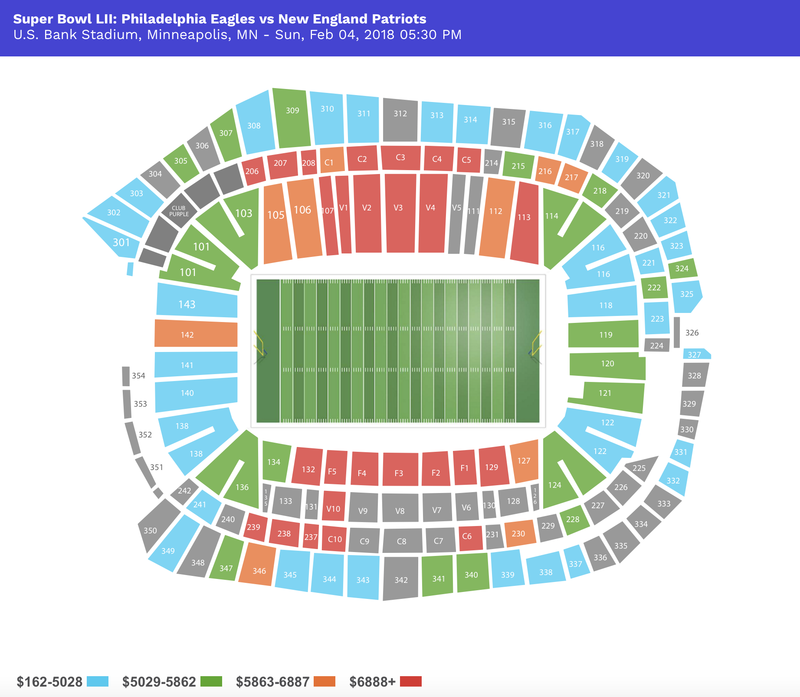 And while that $2727 price is high, it’s actually 15% less expensive than last year’s title game between Auburn and Oregon, which averaged $3227 a seat. Following the Rose Bowl, the Fiesta, Sugar and Cotton bowls are all averaging around $300 a ticket, or 89% less than the BCS title game. There was a s significant drop-off in price after the top five, with no games falling in the $200-$300 price range. Bowls that missed the top 5, albeit by a wide margin, include the Alamo Bowl ($191), the Outback Bowl ($165), the Holiday Bowl ($165) and the lone BCS Bowl to fall short of the top 5, the Orange Bowl, where tickets to see West Virginia take on Clemson are selling for $164 a seat, 45% less than the 5th-ranked Cotton Bowl. For tickets to these or any of the upcoming bowl games click the view tickets button below.